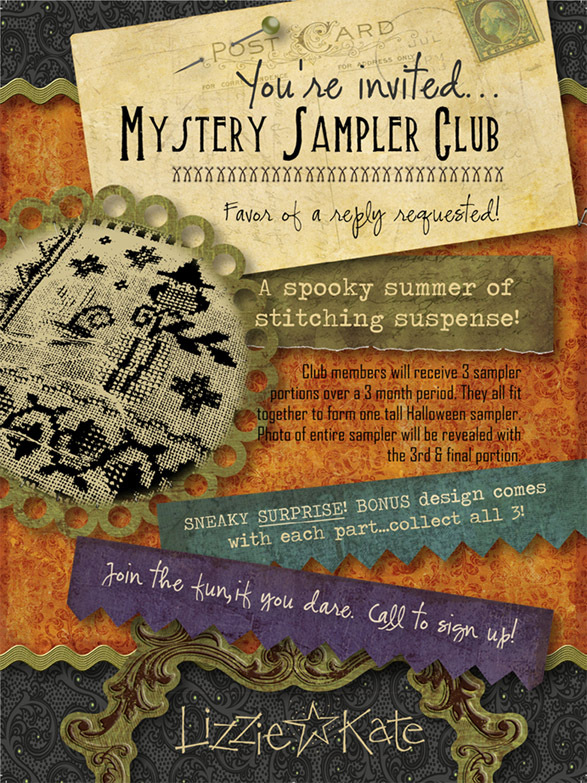 ATTENTION SHOP OWNERS - Only one more week to finalize your numbers and sign up for the Lizzie*Kate "VERY SCARY" Mystery Sampler! Make sure you sign up by June 8th in order to ensure you get all of the supplies needed in time for our June 27th release. This is by far the most popular series this summer! 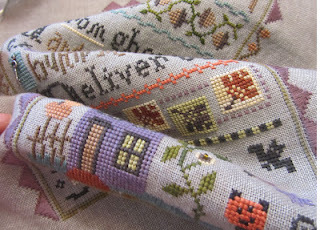 For about $100 retail you will get the following - 1 chart released in June, 1 in July, and 1 in August (including one main piece, and 1 bonus piece each month), embellishments, linen for the main piece, thread pack to complete the main piece, linen to complete the bonus pieces, and threads to complete the bonus pieces! 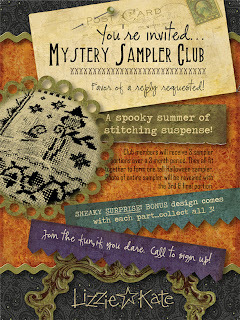 That is a whole summer's worth of stitching for $100, so don't miss out, sign up with today! I cannot wait for this to start - all the ladies I know that are participating are similarly excited :) Such a great idea for a summer SAL!